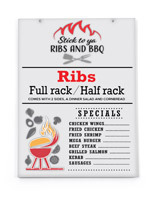 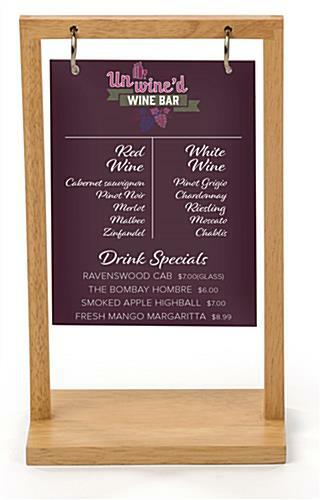 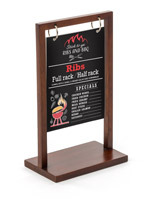 This 5” x 7” flip top wood menu complete with custom graphics is an ideal way to share restaurant offerings, bar specials or brand messages with your guests. 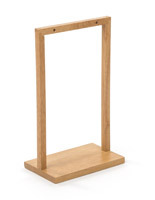 The maple table stand is lightweight, durable and features an elegant design. 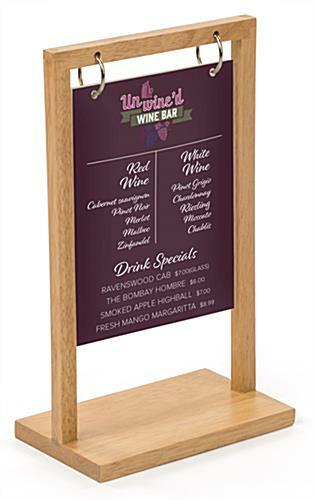 Your custom graphics will be printed in full color on both sides of the included foam board that hangs from the flip top wood menu. 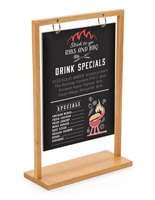 Perfect for any elegant restaurant or bar, replacement foam boards can be purchased to update your messaging at various points of the day to reflect breakfast, lunch and dinner specials. 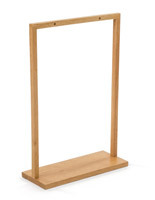 The table stand also works as a simple personalized countertop display in any retail store. 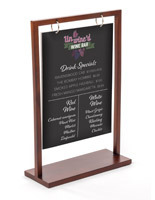 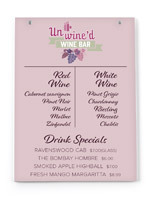 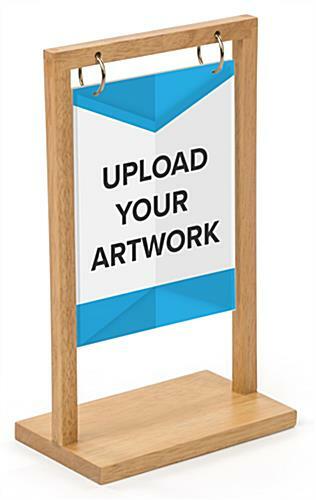 Use the flip top wood menu as a timeless solution for sharing your messages with your guests!